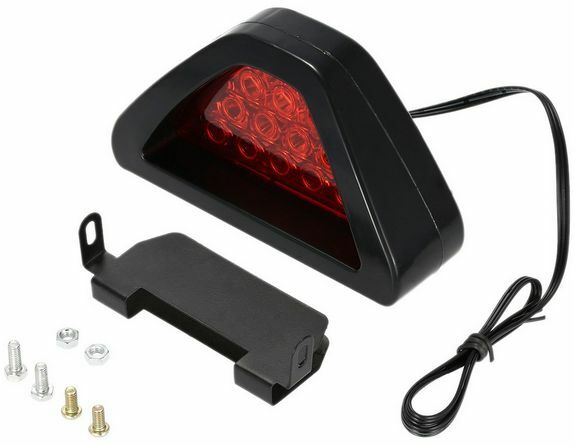 12 LED brake reverse flash light, high visibility & maximum safety. Attractive triangular design as Formula 1 style. All wiring are preassembled for easy Installation. For use in DC 12V vehicles only. All of the LED lights flash when you brake, allow your vehicle to be seen at much further distances, greatly improve safety. If the LED light is not working after installation, please try to reverse the polarity of the LED light connecting wire.